When it comes to music, I go with my gut. Sometimes I have to listen to an album a couple times in order to get it, but really I’m a love it or leave it kind of guy. I never even heard of East before that moment, but I knew I would hear him again. He is a 30-year-old from Nashville by way of Athens, Alabama that has a 50s rockabilly look, a southern sound, and sings with a sincere passion. The singer released the follow up to his 2015 album, “Delilah,” titled appropriately “Encore,” Friday, Jan. 12 on the Low Country Sound imprint of Electra Records. It’s more than just an old soul sound that propel each track on “Encore.” East authentically pours his heart into the lyrics to really translate them into an aura of exhilaration. 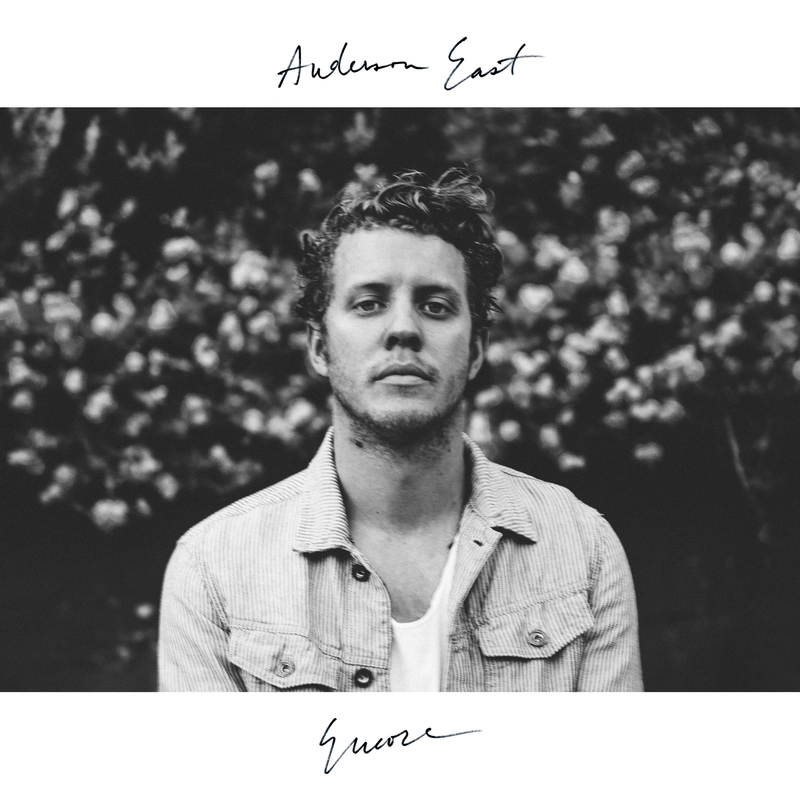 East sings with an intensity that is pure to his southern roots and the Nashville sound. He adds enough emphasis on modern rhythm and blues to make this album sound fresh. 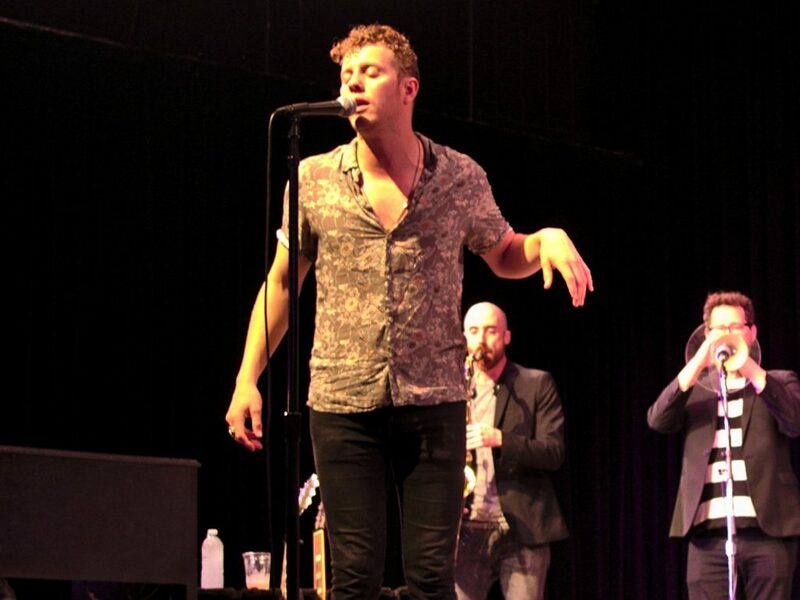 The reason that East won me over as a fan was the electrifying performance he gave at the Philadelphia Folk Festival in 2016. Throughout that set, East delivered each song with unrelenting energy and seemed to only give himself enough time to catch his breath between songs. That live spirit comes through on “Encore” from the first song. Although East’s energy comes from a mixture of raw talent and emotion, there is a fair degree of polish throughout “Encore.” He invited a stable of songwriters to collaborate on the album, including Morgane and Chris Stapleton who co-wrote “King For A Day” with East. Under the helm of producer Dave Cobb, the founder of Low Country Sound, “Encore” blends his voice with backup singers, bright brass sounds, bluesy guitar licks, R&B beats and classic rock ‘n’ roll emotion. There is a lot of retro soul flowing through East’s sophomore album, from its recording at RCA Studio in Nashville to the classic covers of Willie Nelson’s “Somebody Pick Up My Pieces” and “Sorry You’re Sick” from folksinger Ted Hawkins. My favorite moments on the album come from the funky, upbeat songs where East is flaunting his swagger. “Girlfriend” is the first song from this album that I would recommend to my friends. It’s completely fantastic featuring a groovy organ, hand-clap rhythms and an easy refrain. My favorite song is the barnburner “Surrender” that evokes that southern gospel spirit that reached through the speakers and grabbed me at the 1:51 mark. “King For A Day” offers a nice slow and soulful introduction to the album and is a song that kept replaying in my head. I also keep returning to the gritty, blues-inspired “All On My Mind,” which features East playing off the brass section and, in one song, represents what makes “Encore” such a fantastic album. The R&B interpretation of Nelson’s ”Somebody Pick Up My Pieces” is balanced by the closest thing to a country song on this album; “Cabinet Door.” When I first heard it, I thought I accidentally played a Sturgill Simpson song. Simpson is another Philadelphia Folk Festival alumni and label-mate with East. The song shows off a different side of East the way that “Lay Lady Lay” first let listeners see another shade of Bob Dylan. “Encore” doesn’t stick to one genre or style, it just plain sticks to your ribs. East blends the various colors in his palette to create a sound that represents how he feels. By staying true to his soul, East managed to find a common element that binds all the songs on the album together. 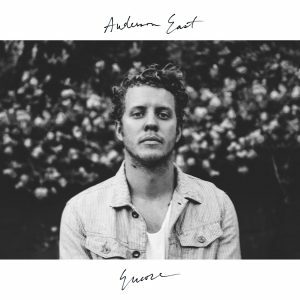 As great as “Encore” is, there is nothing like seeing Anderson East live. See him Friday, April 6 at the 9:30 Club in Washington D.C. and Saturday, April, 7 at the Theatre of Living Arts in Philadelphia, Pennsylvania. Get “Encore” from Warner Music Store and Elektra Records, Amazon, Apple Music, Google Play, Spotify, Deezer and Tidal.